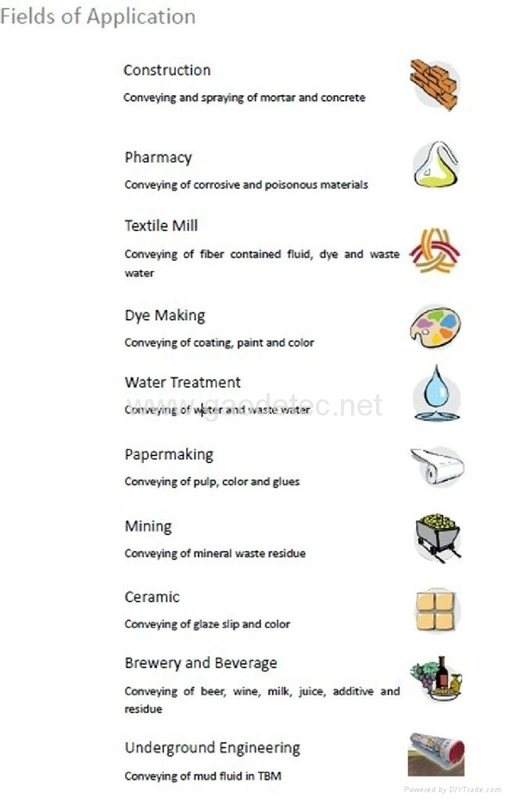 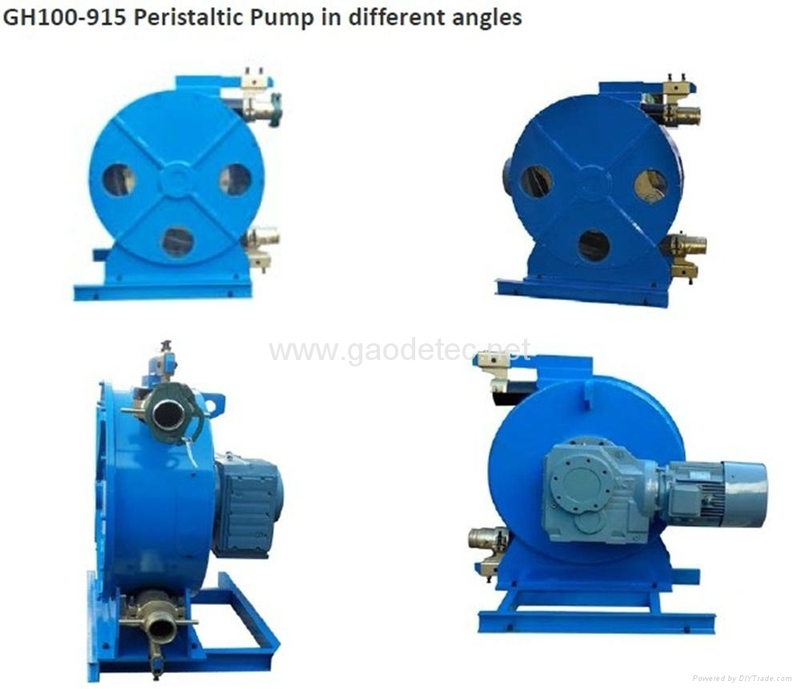 GEC peristaltic pump is a kind of peristaltic pump, which is suitable for handling aggressive, high viscosity, high density products, such as abrasive slurries, corrosive acids, gaseous liquids, sand/cement mortar, liquid accelerator, etc. 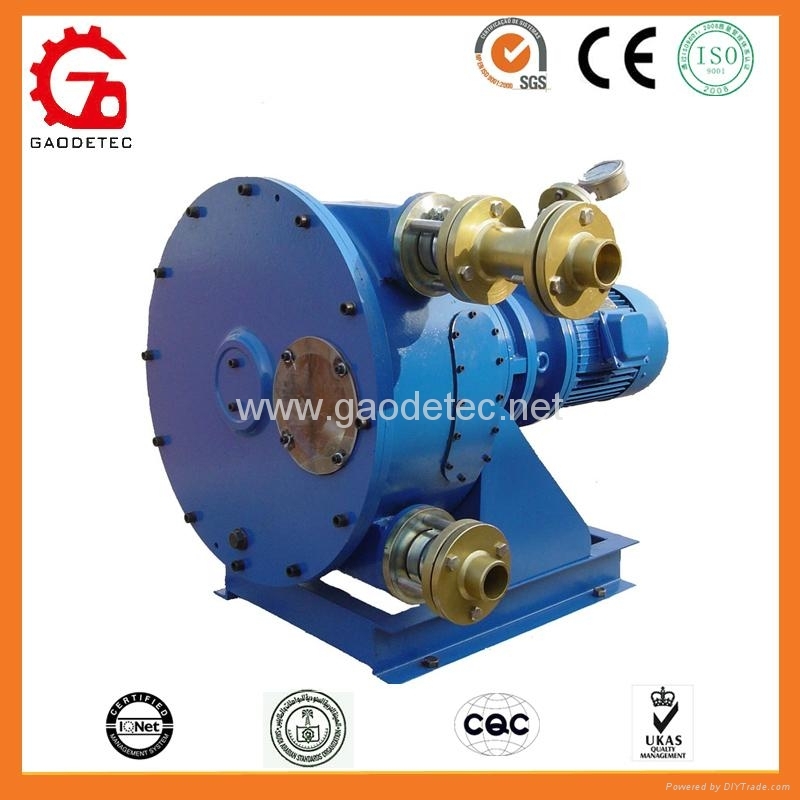 And also is used for dosing pump with 1% repeat precision. 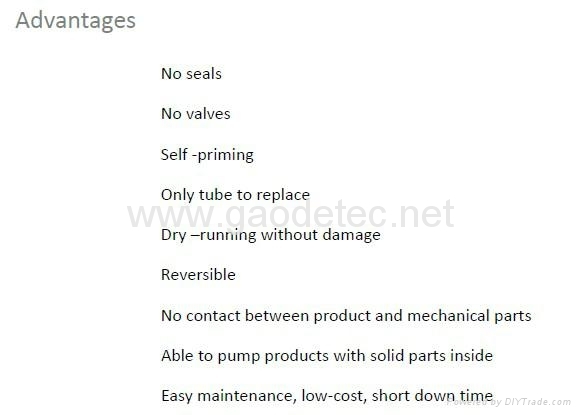 GEC series hose pumps include GH10, GH15, GH25,GH32, GH38,GH50,GH65,GH76, GH100.